SQA Care offers a wide range of Qualifications to meet the needs of a diverse workforce from a variety of sectors including: Health and Social Care, Childcare and Community Justice. 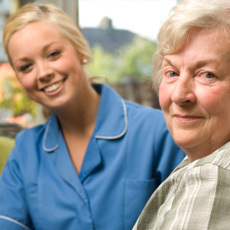 The work of the SQA Care team is paramount in the review, maintenance and development of qualifications across the care sector. It also supports workforce planning to allow individuals to grow and develop in their chosen professions, following clear career pathways with the right qualifications. The team are all very experienced and are here to support and advise on all aspects of the qualifications, we have a dedicated helpline to ensure that our customers get accurate information in line with regulatory requirements. November 2017 SVQ Update Social Services and Healthcare, Social Services (Children and Young People). Please consider these responses as part of your best practice review in your centre and where possible implement them in your day to day practice.